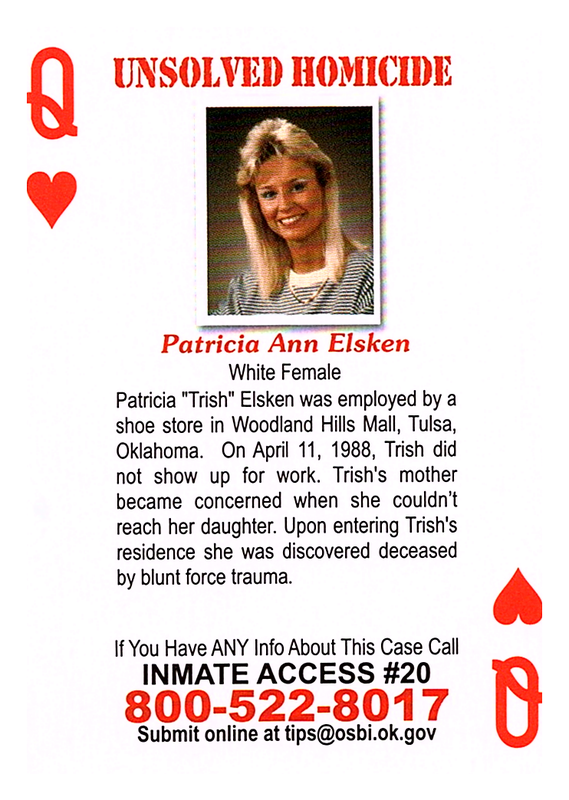 Patricia "Trish" Elsken was employed by a shoe store in Woodland Hills Mall, Tulsa, Oklahoma. On April 11, 1988, Trish did not show up for work. Trish's mother became concerned when she couldn't reach her daughter. Upon entering Trish's residence she was discovered deceased by blunt force trauma.